If the Micropub endpoint supports tag queries, then Quill should ping it as the user is typing to help autocomplete tags. Quill now shows little icons in the reply context when it finds syndication URLs of the post you're replying to! This is the first part of my plan to enable tweetstorms from my site, as well as link up replies when syndicating. Short update today, I just added a page to the Quill docs that documents the Favoriting interface. 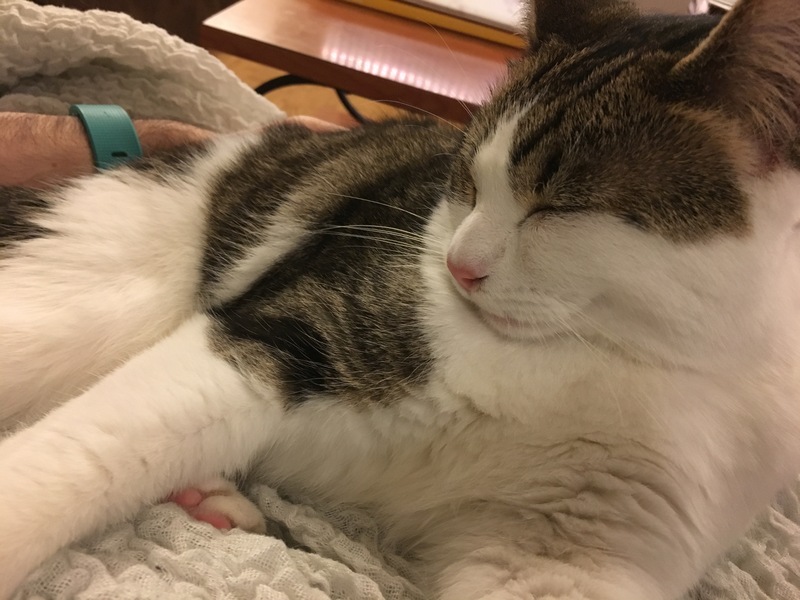 I actually had a cat on my lap, and my computer was not within arms reach, so I actually did the whole thing from my phone. 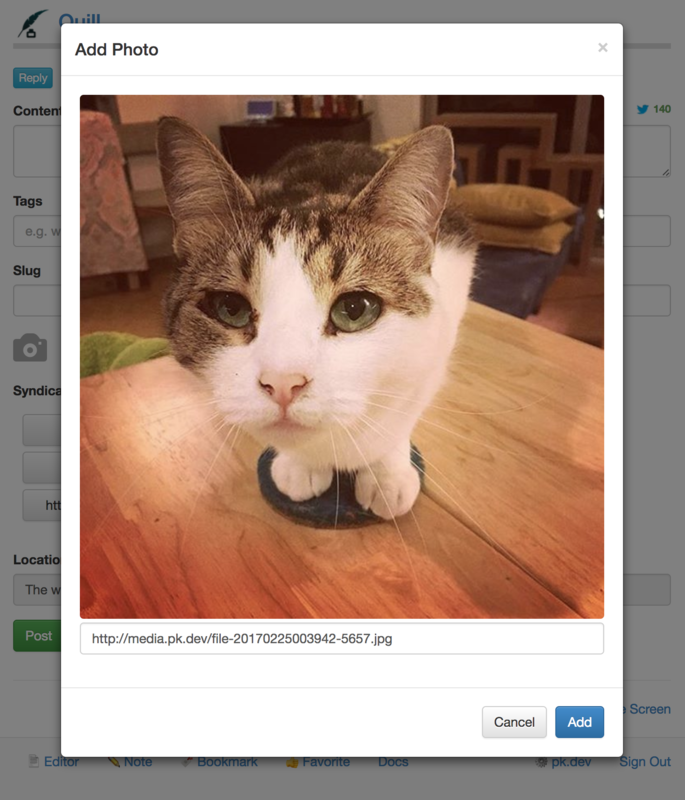 This was an interesting exercise in editing the site using Coda for iOS, and taking and editing screenshots using only my phone, and mostly one hand because the other was stuck under a cat. I also learned that the rich editor interface on Quill is pretty horrible on mobile so I kind of want to fix that now. 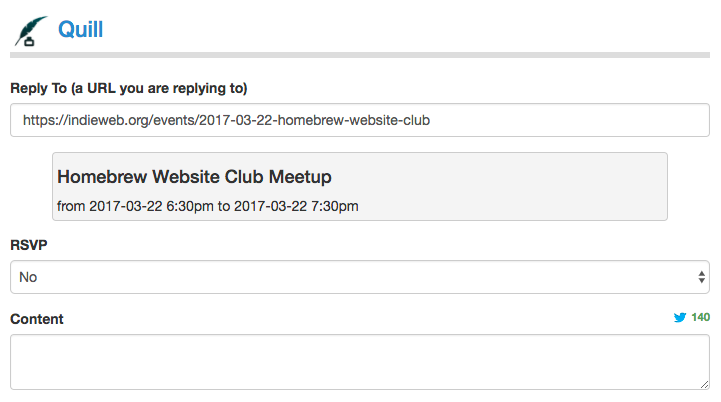 Quill now supports posting RSVPs! When you are replying to a URL that is an h-event, Quill will add an RSVP field to the post and let you choose between "Yes", "No", "Maybe" and "Interested". 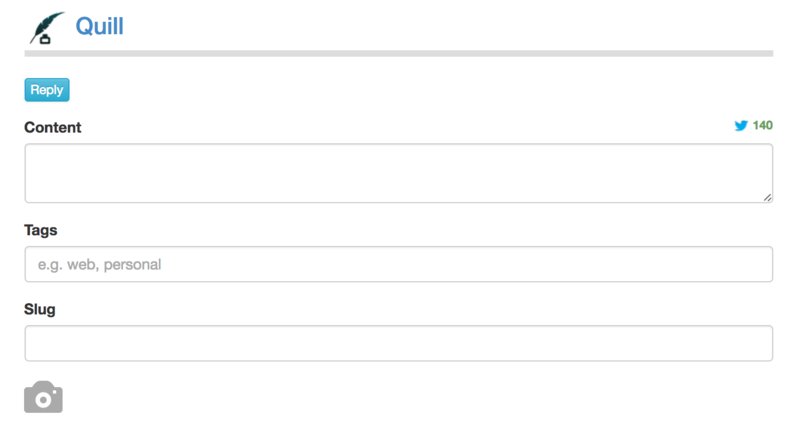 Quill includes a new property "rsvp" in the post set to the value you choose! Since my site already understands the "rsvp" property, it renders the RSVP differently from normal posts. Now that I have a basic pattern for supporting edits in Quill, I was able to quickly add support for editing reposts today. It works the same as yesterday's project of supporting edits of "likes", where the main "edit" page detects the "repost-of" property in the post and redirects to the repost interface. Not much else to say about today's project other than that! Today in Things I Should Have Done Ages Ago... 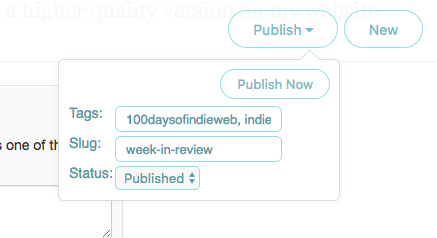 I finally started adding support to Quill for editing posts. I'm going to have to build this out one by one for each post interface Quill supports, so I started with the easiest one, favorites. Eventually I will add an "edit" button to my bookmarklets, which is currently how I access most of Quill for writing posts, replies, bookmarks, etc. The "/edit?url=" route in Quill does a Micropub query for all source properties, and inspects which properties come back. Depending on which properties are present, Quill then redirects to the appropriate editing interface based on the type of post it detects. For example, if it sees a "like-of" property in the post, then it redirects to "/favorite" with the post's URL in the query string. The "/favorite" page then does a Micropub query for the specific properties it will edit (in this case, only the "like-of" property), and fills the URL in the form. When you click "Save", it makes a Micropub edit request to replace the value of the "like-of" property. I'll be making more (slow) progress on adding editing support to the rest of the interfaces! Today I cleaned up the interface for uploading photos in Quill. It was getting messy, since I had been slowly adding stuff to it, like support for multiple photos, supporting a Media Endpoint, etc. So here's how it works now! Tap the camera icon, and a modal dialog appears. You can either upload a file, or paste an image URL here. I sometimes take screenshots which get uploaded to a URL and so I already have a URL on my clipboard when I'm writing a post. Once you either select a file or enter a URL, the image appears inline. 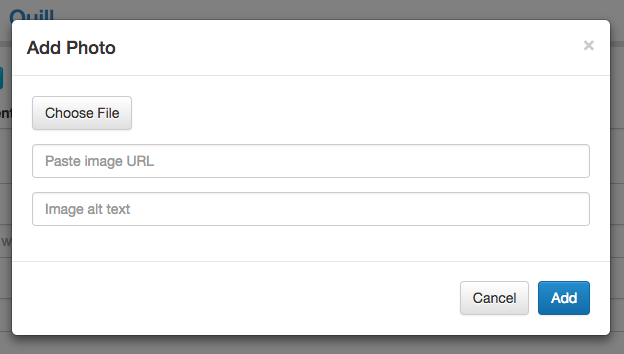 If your site has a Media Endpoint, then the image is uploaded immediately and the resulting URL appears in the URL box. 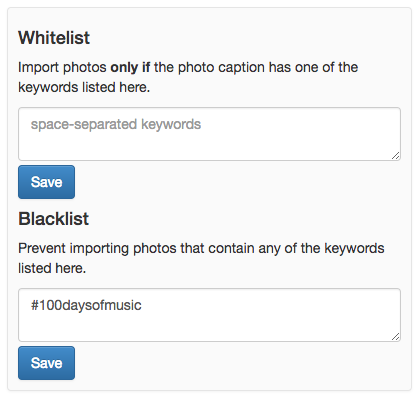 When you select "Add", this photo is added to the list, and a small preview appears in the posting interface. You can then tap the photo to load up the dialog again, which lets you remove the photo if you want. You can tap the camera icon to continue adding more photos! In addition to working nicer, this is also an improvement in functionality, since previously you couldn't upload more than one photo, you could only add multiple photos by URL. Now you can upload more than one in the post! 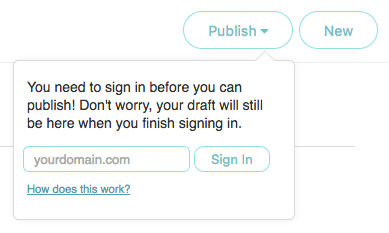 With that change, I left an option for people to choose the scope that Quill requests the first time they sign in. The next time you sign in, this debugging prompt is skipped and Quill requests the same scope you chose previously. However that also meant that you couldn't change your mind about which scope you wanted, and in Marty's case, he didn't realize that he had chosen the default "create" when he signed in. To address this problem, today I added an option in the settings to have Quill "forget" everything it knows about you. It will delete the cached endpoints, access token, and saved scope, so that when you log in back it will re-prompt you with everything like the first time you signed in. Hopefully this helps with people debugging things! Thanks to @sebsel for pointing this out! 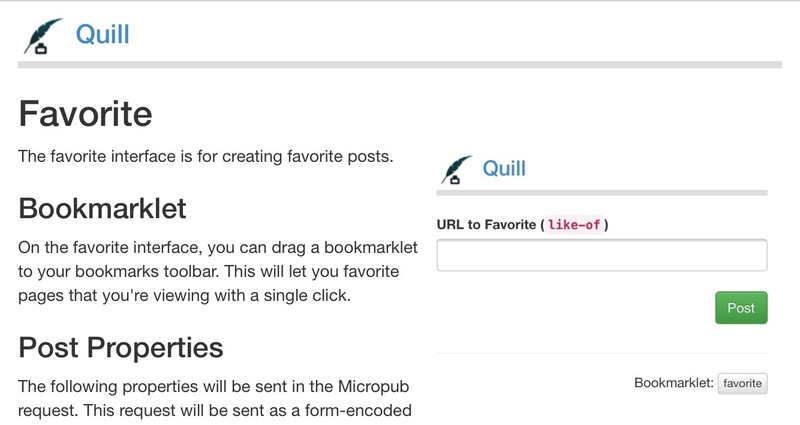 Quill has bookmarklets to quickly launch a few of the interface, specifically replies, bookmarks and favorites. I use the "favorite" bookmarklet on a regular basis, as it allows me to favorite the page I am viewing with just one click. 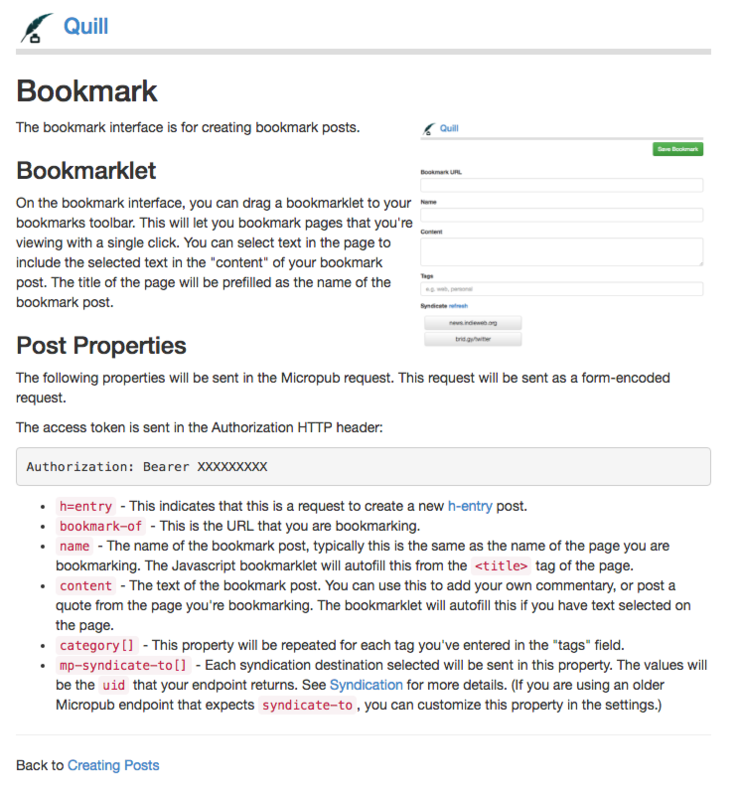 The bookmarklet is quite simple. It essentially just redirects to Quill's "favorite" page with the URL of the page the browser was previously on in the query string, and it also appended a parameter "autosubmit=true". I can't believe I didn't notice this when I added that feature! I realized that most of the time I'm not posting photos in Quill, so having the photo fields in the note interface so prominent isn't necessary, and adds clutter. So now, a camera icon takes the place of the form fields, and when you click it, it expands to the fields that were there before. This makes the note interface slightly cleaner. Straightforward update today. I added a documentation page for the bookmark interface of Quill! Not a lot to say other than that! As the Micropub spec has evolved, there have been some minor changes to how Quill used to do things. Today I added a configuration option to allow you to change the name of the property used to indicate the syndication targets. Quill used to always send the syndicate-to property, but now the recommendation is to use mp- prefix to indicate Micropub commands rather than properties of the post. This backwards compatibility section in Quill allows me to make changes to the client without affecting existing users until they're ready to opt in to the change. All existing Quill users will still be receiving the syndicate-to property until they go into the settings and change it to mp-syndicate-to. However, new users will default to the new mp-syndicate-to property. All this does is include the date you enter as the published date in the Micropub request. It's up to your site to decide what to do with that. For example if you enter a date in the future, your site can decide to not show future-dated posts in feeds, so you can use this for scheduling posts. 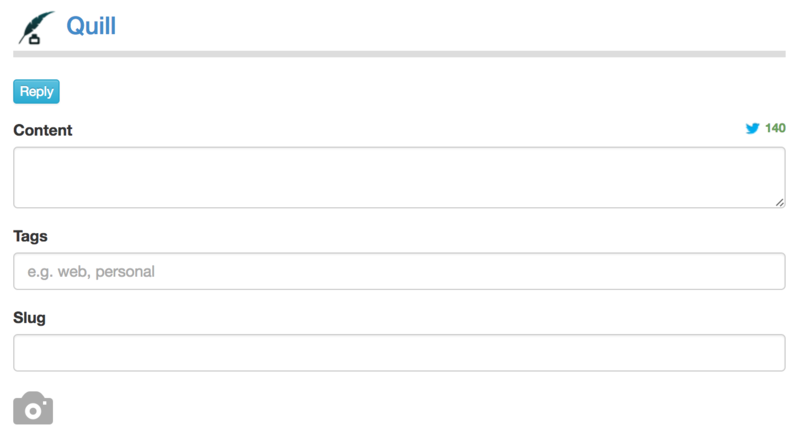 Of course if you enter a date in the past you can backdate posts such as when importing posts from an old blog. 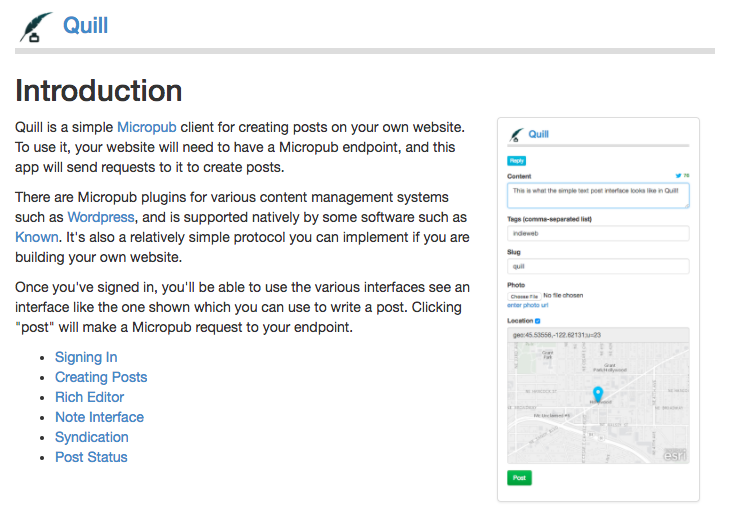 Quill started out as a sample Micropub client with a lot of useful debugging information. As it's grown, I've been slowly adding more posting interfaces to Quill, and tweaking them to look less like a debugging tool and more like a real app. Instead, micropub.rocks has taken over as a more detailed debugging utility for building a Micropub endpoint, so I can now optimize Quill for being more user-friendly and less developer-focused. 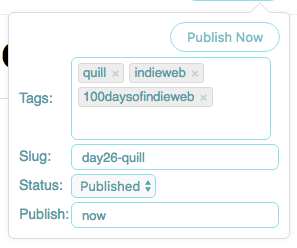 At IndieWebCamp Germany in 2015, I added a rich editor to Quill, inspired by the clean Medium interface. You can even use the Quill rich editor without being logged in! 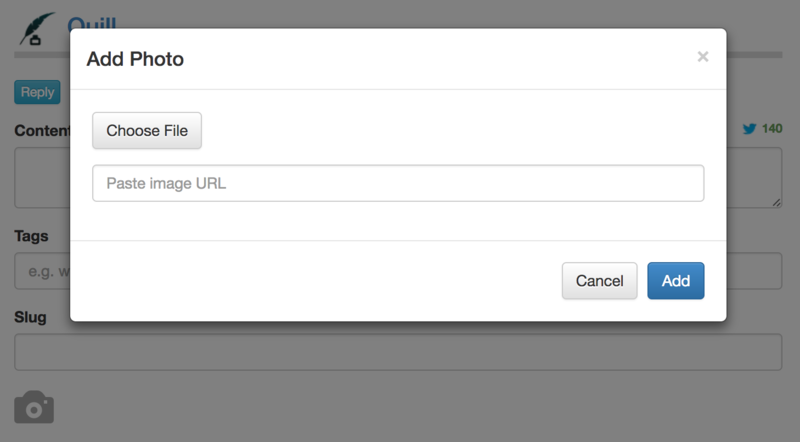 It will save the post to your browser's localstorage as a draft, and let you post it after you log in. I wanted to make an interface that anybody would feel comfortable writing in, and be able to show it to people without them first logging in, as an introduction to what it might look like to have nice writing applications that aren't tied to a specific backend like Medium. In order to help people get started with Quill, today I wrote some more documentation for it! When you're logged out and click the "publish" button, it prompts you to log in and links out to the documentation home page. 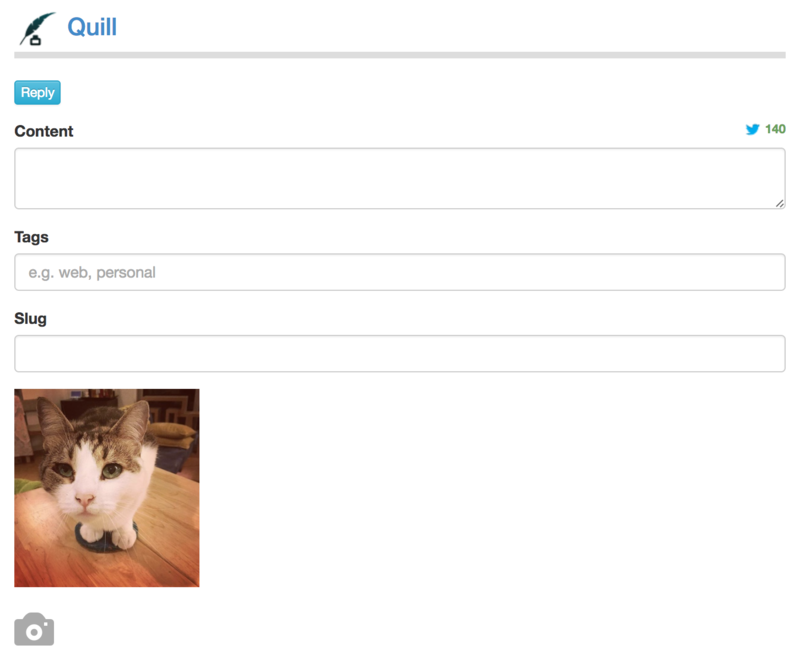 The documentation page contains a short introduction, targeted at general users of Quill rather than developers, and then links to the specific pages that you'd need to read for developing a Micropub server that can work with Quill to learn about the specific properties it sends. So far I've written the overview page, and documented the Rich Editor and basic note interface, as well as written about syndication and the new "post status" option.